When winter arrives and you turn your heat on for the first time, make sure it's working. Many homeowners turn their furnace on for the first time when the cold weather hits only to find it won't turn on, there's a leak, or the blower isn't working. Don't get left out in the cold this winter. If you want to make sure your furnace is ready for winter, call Central Heating & Air Conditioning to have your furnace serviced. 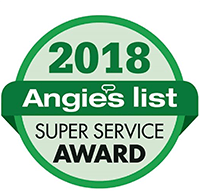 You can expect prompt service and a complete 21-point inspection of your heating system. Our 21-point Heating Precision Clean & Tune Service includes cleaning and check of all system components as well as a written report of results, a 15% discount on parts and labor for one year and our guarantee of no breakdowns due to lack of maintenance for one year from the date of service. Do you have a natural gas, oil, electric, or propane furnace? Great, because we work on all types of furnaces and would be happy to help with yours. Give us a call at (216) 352-4758 today to schedule your 21-point heating, clean & tune or for any of your other furnace maintenance concerns. Our trained Comfort Consultants are here to help you achieve home comfort with heating services — from maintenance to repairs to system replacements. 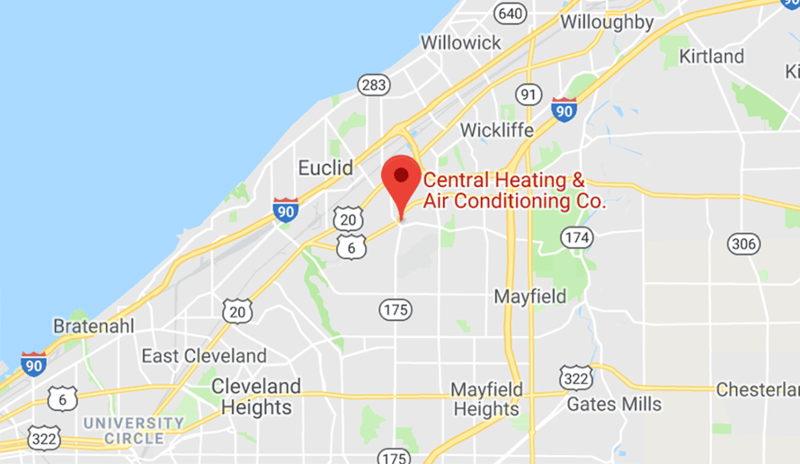 Central Heating and Air Conditioning Co., your local heating services experts in Cleveland, can help improve your home's efficiency while providing prompt and precise service. We provide written quotes on all furnace repairs. 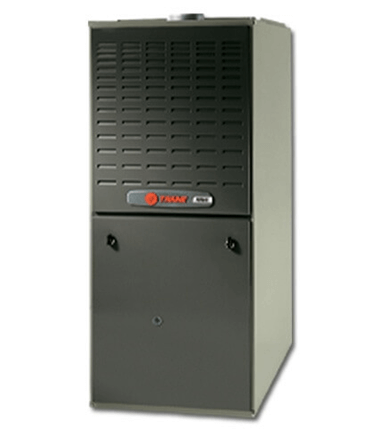 If you need to have your furnace replaced, we will even provide you with an estimate. Over time, dirt and dust accumulation wear down your furnace. However, the cleaner your furnace is, the better it will run. A yearly cleaning will decrease the chances of harmful debris reducing the life of your fan, and causing parts to fail. That's why most HVAC technicians will recommend getting a yearly furnace check up or having maintenance done on a yearly basis. Even if your furnace appears to be working properly now, it's not a bad idea to schedule a heating clean & tune. Maintain Performance Record - Keep a regular log of furnace performance. This will help you identify problems as they occur, and provides you with an accurate method of tracking furnace efficiency. Thermostat - If your thermostat isn't properly calibrated, you could be overspending on energy. Have your thermostat checked and calibrated annually, or install a computerized thermostat for the best fuel and cost efficiency. Safety Devices - Verify that all safety devices are operating according to the manufacturer’s specifications. Faulty safety devices can lead to fire, or premature shut down of the furnace during operation. Burners - A combination of condensation and soot can cause burners to function improperly, and may cause other furnace problems as well. The burner assembly should be cleaned annually or replaced if the existing one is in poor condition. Pilot Light - Verify that the pilot light and control assembly are working correctly. A weak pilot can be easily extinguished and may cause the furnace to stop functioning. Electrical System - Check the voltage and amperage draw on the fan motors, compressor, and the blower. Electrical components that malfunction can lead to serious consequences, including motor failure and fire. Air Filter - A clogged or dirty filter inhibits airflow, and you should change it at the beginning of the heating season. Using old filters puts more stress on the compressor and can lead to mechanical failures over time. Combustion Chamber - Check for debris, soot, or other buildup that may prevent intake and exhaust. Clogged combustion chamber openings can lead to unhealthy fumes in the home. Air Mover / Fan - Make sure that the fan and switch are operating properly, and make necessary adjustments. Improperly cycling fans can be annoying, and increase your energy costs in the process. Exhaust - Inspect the flue pipes to ensure they are free of obstruction. Over time, heat exchanges may crack, emitting harmful exhaust into the home. Birds, squirrels and other animals will sometimes nest in pipes that are not screened, so make sure the roof openings are enclosed with a heavy wire mesh to prevent access. Drive System - Damaged or loose belts or pulleys will cause your furnace to malfunction. Inspect belts for cracks and wear, and verify that pulleys do not wobble when in use. Inspect Lines - Check the entire gas line from the main inlet to the furnace burners. Use a damp, soapy cloth to look for leaks at joints or questionable areas. Lubrication - Apply fresh lubricant to moving joints, bearings and motors. Lack of lubrication increases friction and may cause screeching or drumming sounds, poor air circulation, and more. Unit Inspection - Check that all bolts and screws are fastened securely. Make certain the the unit panels are in place and that no tools or debris have been left inside the unit.